As discussed in part 1, from a consequentialist point of view, the rationale for voting is very weak. 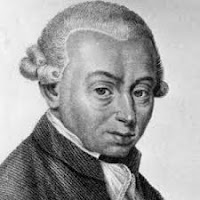 We turn now to the other major school of ethical theory: deontology, most notably the ethical thought of Immanuel Kant. A Kantian rationale for voting might look attractive: we ask, what if everyone did that? What if everyone were to stay home and not vote? The results would be disastrous. Therefore, we have a duty to vote. But consider the parallel argument: "What if no one was a farmer? We’d all starve!" Just because we need some people to do a thing doesn’t mean that we need everyone to do that thing. Here’s an idea that might have occurred to you. However you reason about your situation, there are several thousand or several million others who are in basically your position and will reason the same way. So if you decide to vote, then all those other people, basically like you, will make the same decision. So, you’re not just deciding for you. Let’s explore that. "The world was lost one day in 1935, here in Germany, and it was I who lost it." 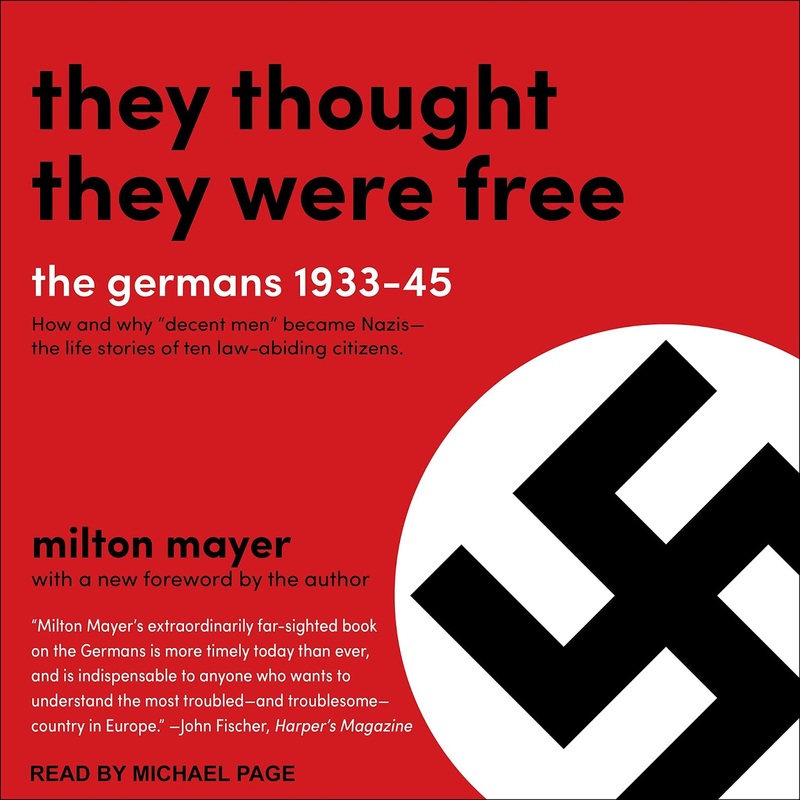 The man tells how, in 1935, Germany adopted the National Defense Law. The man was employed in a defense plant at the time, and the new law required him to take an oath of fidelity. The man opposed it in conscience, was given 24 hours to think it over, and, in those 24 hours, changed his mind. He took the oath of fidelity to the Nazis -- and, in so doing, he recounts years later, "I lost the world." "There I was, in 1935, a perfect example of the kind of person who, with all his advantages of birth, in education, and position, rules (or might easily rule) in any country. If I had refused to take the oath in 1935, it would have meant that thousands and thousands like me, all over Germany, were refusing to take it. Their refusal would have heartened millions. Thus the regime would have been overthrown, or indeed, would never have come to power in the first place. The fact that I was not prepared to resist, in 1935, meant that all the thousands, hundreds of thousands, like me in Germany were also unprepared,... If my faith had been strong enough in 1935, I could have prevented the whole evil." I appreciate the man’s remorse. There’s something admirable about his willingness to take on the whole responsibility for Nazism. But it’s just not true. The day I decided to become vegetarian was not a day -- or even a decade -- that hundreds of thousands of demographically, economically, and educationally similar people also decided to become vegetarian. It's one thing to test the ethics of an action by asking yourself "what if everyone did that?" -- but it's quite a jump from there to expecting that somehow any sizable number of people actually will do whatever you decide to do. If I enter my voting booth and have a spontaneous impulse to change my mind from the major party candidate I had been planning to vote for and instead vote for a minor party candidate who has been polling at about 2 percent, that candidate will still finish with about 2 percent of the vote. In fact, I did that once – back in the ‘80s – and the result was: nothing. The spontaneous impulse I had was also had by, to all appearances, no one else. Moral decisions made in individual isolation are, unsurprisingly, individual and isolated. On the other hand, moral decisions that lead to organizing and building a movement, and pouring a lot of energy into persuading others – that’s something very different. But it's a Kantian fantasy to think that thousands of other people will reach a given conclusion if and only if you do. It's true that thousands of other people will reason the way that you do. But this doesn't mean your reasoning caused theirs -- or that if you change yours, then they will change theirs. To hold that one should vote because millions or at least thousands will reach the same decision simply by you deciding it by yourself is to indulge in Kantian fantasy. Neither Kantian ethics nor consequentialism provide us with a reason to take the trouble to vote. If ethical argument were all it takes, then increasing voter participation would be easy, and ethical arguments look so tempting because they offer an easy way. But it’s the hard way that will work. This is part 2 of 3 of "Why We Vote and Why We Don't"